How to Move Outlook 2013 Data to New Computer? Outlook application has become much popular now than earlier as it include emailing which is a major thing for communicating now days. Not only emails, Outlook is included with many other attributes like contacts, tasks, reminder, RSS feeds, calendar, notes, etc. which help users. Outlook application has simple interface with attractive features. Due to this, it is most commonly using app for communicating others. But transfer Outlook data to new computer is a hard task to do so. For this, you need third party tools which can easily Migrate Outlook data without any errors. 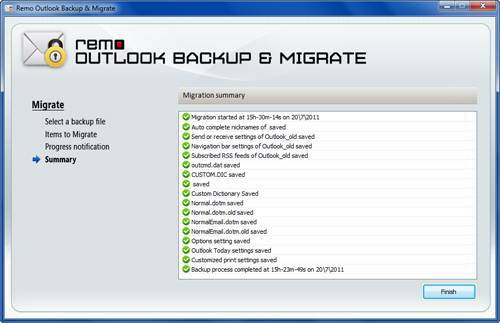 Here it is Migrate Outlook Software which you are looking for. This software is capable to move Outlook tasks to new computer within short period of time. But before that, let us know the different cases which involve the migration of Outlook data to new version or new computer. While upgrading lower version to the upper version, there is chance that Outlook files may get corrupted and become inaccessible. Sometime, due to corruption of PST you may have chance that files get lost from the Outlook application. Migrating Outlook data to new computer is not simple task to do it manually, so an advanced tool like is Migrate Outlook is required to perform this task. It is an ultimate solution for transferring Outlook files without any interruption; let us know some information regarding utility. It has simple GUI which helps in easy understanding the concept of transfer of Outlook data. Even supports to migrate password protected Outlook files with ease. Step 2: In the next Window, select Outlook files which are needed to migrate and then click “Next” to proceed. Step 4: Finally, software displays the summary of migration of Outlook 2013 files as shown in below fig.